Crusing is the ultimate holiday that covers the entire globe. Observe penguins in Antarctica - Celebrate Carnival in Rio - Walk on an Alaskan glacier - Experience the magic of Tahiti and her islands. The destinations of your dreams are just a sail away. Imagine having a delightful breakfast served on your veranda while watching the sea as it takes you to your next destination; or, just anticipate a relaxing day at sea receiving a rejuvenating spa treatment or catching up on the latest novel from your deck chair. Cruising is a great way for families to renew their bonds in a carefree, fun atmosphere. 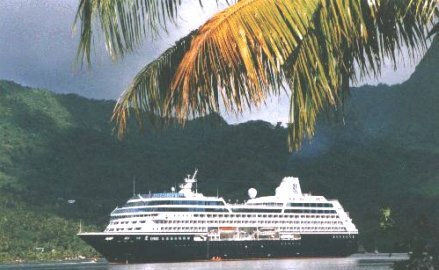 There are wonderful cruises that cater to the entire family with supervised, planned activities for children and teenagers. So get that cruise wardrobe ready - unpack once on a cruise - and we will get the ball rolling - or should we say the ship sailing!